THIS IS HOME FOR KELTEK, LLC., IN LONGMONT, COLORADO, U.S.A. Contains the display-related publications created when at NIST. Our main laboratory instrument is the Photo Research PR-730 with five apertures (2°, 1°, 0.5°, 0.25°, 0.125°), Bluetooth, and both AC and battery operation--a wonderful instrument providing great flexibility for our work. Without the help of Photo Research we wouldn't have much of a lab. Their long-term loan of this instrument is so very much appreciated, and we thank them. 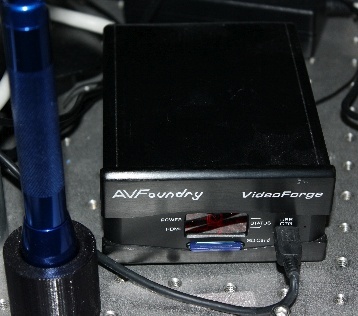 We have used this AVFoundry HD video generator for both 2D and 3D generation of patterns on TVs and monitors. The gift of this generator has saved us on several occasions, and we are very grateful for it. 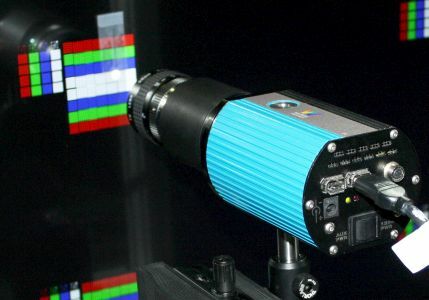 400A Imaging Photometer: With new RGBW displays entering the market, common RGB cameras may no longer be adequate for making detail luminance measurements on displays. We want to thank Westboro Photonics for this gift that provides us with photopic imaging capabilities. Here it is being used to measure a 1x1 grille on a 4k (UHD) display. Spectroradiometer courtesy Instrument Systems We recently received this beautiful instrument and would like to thank Instrument Systems for their generosity. 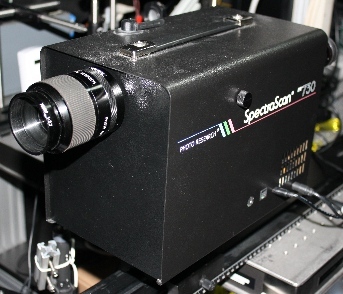 The spectrometer head is a TOP-200, the spectrometer is a CAS-140, and it includes an irradiance head EOP-146. Ultra-Uniform Calibration Source from Gooch & Housego This is another treasure recently received. We would like to thank Gooch & Housego (formerly Optronic Laboratories) for their generosity. The source has a cylindrical extension (invented by KELTEK) that improves the uniformity of the exit port by a factor of 10, down to approximately 0.1% nonuniformity. With this instrument we can maintain an in-house calibration. 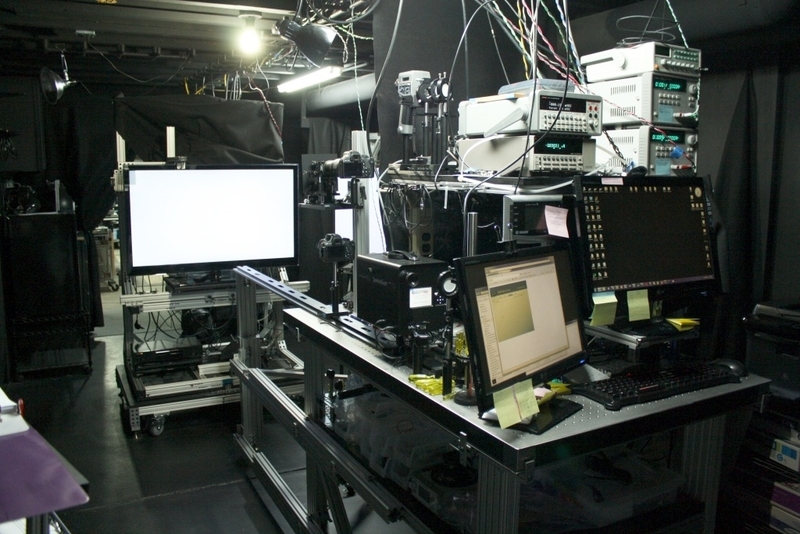 This laboratory is designed to be flexible in order to research virtually any measurement problem on any commercial display technology that is required. We retain a spectroradiometric measurement capability (courtesy Photo Research, Inc.) for general display measurements: full-screen and box, luminance, color, correlated color temperature (CCT), viewing angle, gamma, bidirectional reflectance distribution function (BRDF) measurements (both photometric and spectroradiometric), temporal measurements, motion-artifact measurements, 3D measurements, etc. Alignment of our apparatus is achieved by a laser whereby we routinely obtain alignment with the display normal to within two minutes of arc whenever necessary. The laboratory is constantly being enhanced with more capabilities. We specialize in reflection measurements on displays whereby we can replicate most reflection apparatus required. We have integrating spheres, sampling spheres, discrete, uniform, and collimated sources all available for reflection characterization of displays and the measurement of contrasts and colors under ambient conditions. We measure reflectance factors, reflectances, character contrasts and character reflectances under ambient conditions (specular included or excluded, photometric or radiometric measurements as needed). We also measure transmission characteristics of displays and components. We intend to improve and increase our measurement capabilities including matrix-scatter characterization, transmission measurements, and projection measurements. KELTEK began in 1989 as a sole proprietorship when Ed first left NIST and moved to Idaho. He continued to work with NIST via personal-services contracts for a while and explored university teaching. He returned to NIST in 1992 where he started the Flat Panel Display Laboratory that ultimately became the Display Metrology Project, a work that continued for 17 years. (KELTEK went dormant as long as Ed worked at NIST.) KELTEK revived after Ed's retirement from NIST in 2009. 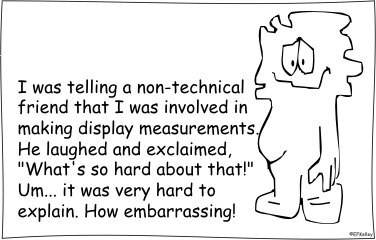 Ed will continue his passion for quality display metrology doing research in display measurements. 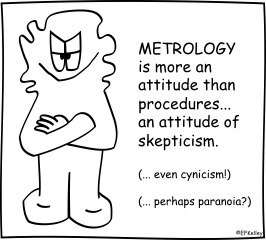 Presently, the Display Metrology Short Course has been suspended in anticipation of a book, Display Metrology. Certain commercial equipment, instruments, materials, systems, software, and trade names may be identified throughout this site in order to specify or identify technologies adequately. Such identification is not intended to imply recommendation or endorsement by KELTEK, nor is it intended to imply that the systems or products identified are necessarily the best available for the purpose. © KELTEK, LLC. All the contents of this web page and the KELTEK web pages to which it links are the property of KELTEK, LLC. Do not copy, etc., any item without written permission from KELTEK; contact us at the above email address. Thanks, --Ed.